Dandin V. de Vera, whose story will inspire others and pull more their motivation and drive to keep on trying, is an Overseas Filipino Worker (OFW) for about 7 years now – four years with Dubai Duty Free and three years with Ferrero. He started as a Sales Assistant of Dubai Duty Free. He comes from a very humble beginning and now works in an eight billion Euro Italian company. He currently holds a Key Account and Trade Marketing Manager position in Ferrero Travel Retail Division, one of the world’s largest confectionery company. In 2012, he was hired as a Travel Retail Supervisor to handle UAE Duty Free channels. He was promoted as Sales Manager looking after the lower gulf countries – United Arab Emirates (Dubai, Abu Dhabi) , Bahrain, Kuwait, Oman and Qatar. 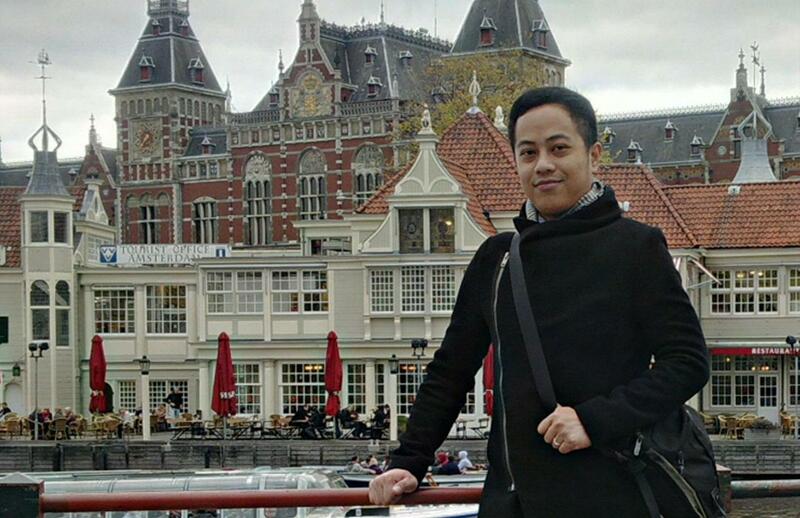 Dandin is the only Filipino in the Travel Retail Business Unit, a group composed of 46 employees majority of which are Europeans. Ferrero has a total of 22,000 employees worldwide when all business units are combined. THE BLOGGER. Ulysses Espartero is a journalist, speechwriter and publicist who traces his roots from two Philippine jewels – Laguna and Antique. While in Dubai, he enjoyed his expat life documenting the struggles and victories of migrant workers in the Gulf Cooperation Council states. In 2014, he released Precious Gems in a Desert of Gold, the first and only coffee table book about Filipino achievers in the United Arab Emirates. Connect with him on facebook.